I enjoyed the first volume of Castle Waiting so much that I immediately placed a hold on the second one. This time around, we spend more time in the castle itself, although we still get some backstory. Readers will learn more about Jain's childhood, her first love, and her relationship with her family. In the present, the castle receives some guests who are familiar to Henry and our favorite characters set out to explore some of the castle's deserted wings. One of my favorite things about this series of comics is how Linda Medley makes the castle itself seem like a character and that is wonderfully clear in this volume. 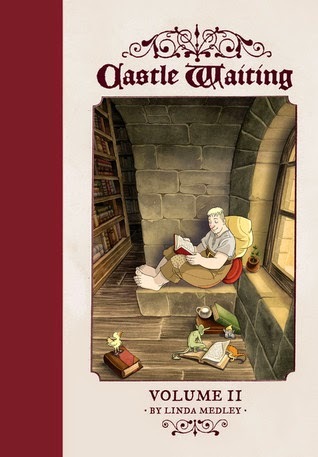 I would be happy to read new issues of Castle Waiting for the next twenty years, but it seems that there are some disputes between Medley and her publisher. I hope they can work things out because I want to spend more time with Jain, Henry, the ladies in waiting, and all of the other inhabitants of Castle Waiting! I'm just going to admit it. I am a huge fan of The Sound of Music. I love Julie Andrews and I adore every second of that movie. When I saw that this book was available for review, I knew I would have to read it. Tom Santopietro takes you through every step of the making of this film. You learn about the process it took to get every single person involved, from the relatively untested stars to the costume designer. There is the perfect amount of backstage drama as we read about Christopher Plummer's disdain for this project and Andrew's frustration at being knocked over by the helicopter every time they tried to film the opening scene. One of the most fascinating and wonderful things about reading this book is seeing the admiration and respect that everyone involved had for the other people working on the film. 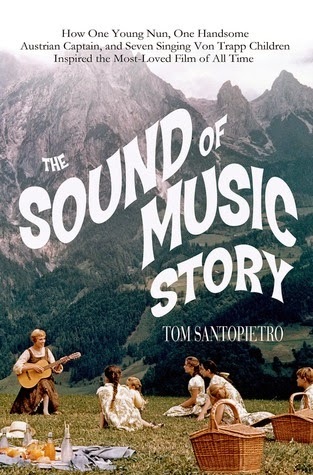 Santopietro follows everyone after the movie ends, analyzing why Andrew didn't have a slew of hits after this movie, what happened to the real Von Trapp family, and the rise of the The Sound of Music Sing-along. This book may have the longest title ever, but the pages are chock full of behind-the-scenes stories and insight into how and why this musical about a nun, a captain, and a whole passel of children became one of the most beloved movies of all time. If you need me, I'll just be exposing my kids to the treasure that is Julie Andrews. Castle Waiting appeals to me. :-) I should check that out. You make the characters sound so compelling. It's a great read. Graphic novels are just so hard to put down (at least in my very limited experience)!